UGM Motors opened in 2005 as a means for people to donate their cars to benefit homeless people through the Union Gospel Mission. All proceeds from UGM Motors go directly to serving the homeless at UGM’s four shelters in Spokane and Coeur d’Alene. UGM Motors also provides job training opportunities in sales, office work, detailing and other areas for people in recovery who need work experience. 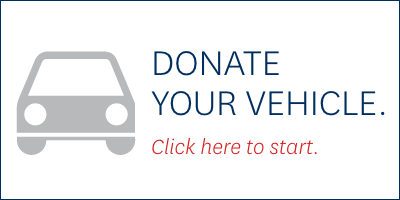 At UGM Motors your vehicle, working or nonworking, is turned into financial support for homeless services at UGM shelters. When we recondition and resell the car, your tax deduction is based on the resale price. You can purchase with confidence. Our honest and helpful sales staff provides full disclosure of all diagnosed issues and repairs made on the vehicles you’re considering. We have a wide selection of high-quality cars and trucks, boats and motorcycles at an average sale price of $2,500. Our ASE-certified mechanics provide maintenance and repairs on domestic and foreign vehicles. With integrity, competitive rates and a two-year warranty on our work, you can trust UGM Motors with your car – and all proceeds help the homeless. Call 509.327.4357 to make an appointment. If you have experience in car or boat repair or sales and a heart for people in recovery, you could be a perfect fit to work with the UGM Motors staff. Call 509.535.8510 to learn more at a UGM volunteer orientation.